How Does an LMS Enable Reporting and Hosting of E-learning? Any organization with strong a global presence is likely to house many business verticals, with specific expertise required to run each of them. This means you need to train a large number of employees on a large number of areas and skills. On top of that, all these different verticals and subject matter experts might be spread across different geographical and cultural zones, further adding to existing training challenges. This is the most basic, yet important function of an LMS. It gives great convenience to admins by allowing the easy creation of user accounts. They can directly import employee data from Excel sheets, instead of manually creating one account at a time. This makes assigning, managing, and tracking employee trainings very easy. Admins can use the LMS to assign mandatory trainings as well as provide employees with suggested trainings, which they can take as time permits. Learners can then login to the LMS portal from various devices as per their convenience and pick the training right from where they left it off. Most organizations continue to use classroom training alongside digital learning programs. Such a blended solution is the perfect way to deliver timely training through eLearning courses on a global basis, while retaining the benefits of hands-on, instructor-led programs. An LMS can help you streamline and set up this highly effective blended learning approach. You can effortlessly allow learners to juggle between classroom and digital trainings by scheduling topics as per the method of training. An LMS further assists in blended learning by allowing automated enrollment, registration notification emails, and attendance tracking, even for the ILT components of the blended solution. 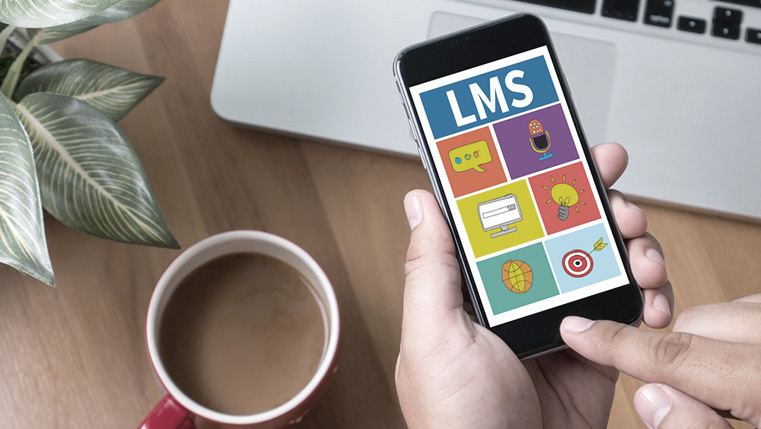 An LMS allows you to continuously roll out updated learning content as per the changing face of the industry. Be it introducing new language versions, updating modules, or even revamping old courses, an LMS can help you make all kinds of new and updated content available globally, according to the needs of your organization. You can even add learners to different groups within the LMS, which means different learners will have access to different levels of content. Assessment results are direct indicators of learner progress and performance. Your LMS can give you these metrics thorough reports. Analyzing such reports against a set benchmark gives you the exact picture of how impactful your e-learning course is. It also serves as a good indicator of where gaps exist in the training or user understanding and also how to bridge them. Surveys, questionnaires, and polls are all great tools to assess how e-courses fare among your employees. LMS platforms allow you to compile all of this feedback data into one graph or chart. This way, you can easily gauge the level of learner satisfaction and identify the strengths and weaknesses of the e-learning course. Getting comprehensive reports of user inputs gives you the chance to personalize the online training experience, making it relevant and relatable. LMS reports based on learning activity are one of the most effective ways to determine the level of engagement of employees with the learning content. Such reports offer information on how employees interact with the online training content, the time they spent on individual modules, their scores, interactive elements used and much more. Using such reports, you can gauge whether employees are sufficiently invested in the online training process, or if they lack the necessary motivation. It also indicates the level of engagement that your e-learning course is able to elicit. 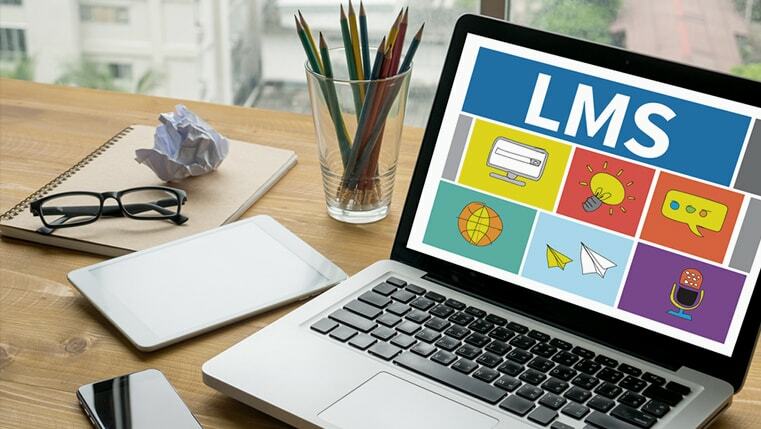 For your organization to utilize the full benefit of all the feature of an LMS, you need to ensure it is implemented in the right manner, with all technicalities taken care of right from the start. If this competency is lacking in-house, it may make better business sense to take the help of an experienced e-learning vendor to make the most of this powerful application.